Are you searching for a reliable travel service provider in Georgia? If so, your search ends right here! 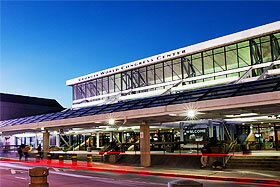 At Charter Everything, we offer top-notch ground transportation solutions across various states in the United States. We have decades of experience offering impeccable transportation services to clients in Georgia. With dedicated 24/7 customer support, a wide fleet of luxury charter buses loaded with luxury amenities and access to multiple states are some key reasons why you should hire us for an upcoming trip. We offer a wide range of customizable list of travel options for you anywhere in Georgia. Now, rediscover the most scenic elements of this beautiful state in style with Charter Everything without spending a single penny over your budget. Affordability and customizability are the main reasons why our charter services are so popular throughout the country. We can customize your travel plan and add or remove locations to it based on your suggestions. With this kind of customized planning and travel service, you can spend more time at places that you truly like. Our state-of-the-art luxury charter buses are equipped with all the amenities needed for a comfortable travel. Our large fleet of charter buses and vehicles consists of buses with seating capacity of up to 61 people or as small as 10 passengers. Now, you can explore the wilderness of Georgia in all its glory with a large group of coworkers, friends and family. Our customer service representatives often go above and beyond their call of duty to make your trip memorable. The drivers always take the safest and quickest route to the destination so that you can spend more time at your favorite locations around Georgia. You don’t need to compromise on the luxury or comfort of your long journey across the state due to budget constraints. We offer multiple deluxe travel solutions to fulfill all your needs at affordable prices. 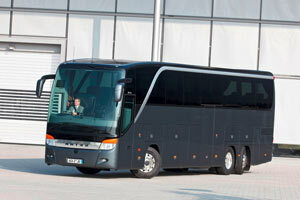 Choose a bus that fits your group size and requirement perfectly. Now, why travel in several cramped and small cars when you can avail a spacious charter bus at an affordable price? 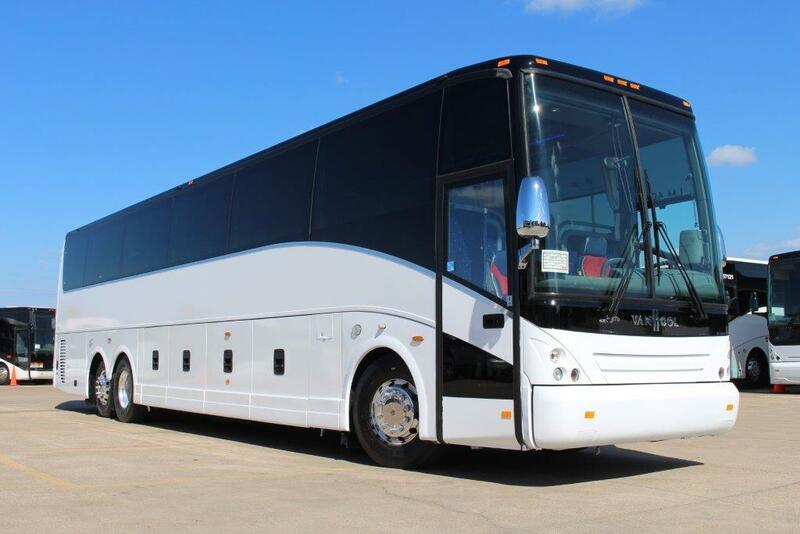 Travel comfortably on our charter buses and arrive to your destination completely refreshed and energized. The best part about traveling in a spacious vehicle is the room to breathe. You will never feel claustrophobic on any of our buses. We can help you travel to the exact locations safely with your friends and family. At Charter Everything, we often get requests from both joint as well as nuclear families who wish to travel comfortably. For the joint families, we have larger buses with a seating capacity of 49 to 61 passengers. For the smaller family, we have a wide range of minibusses that range from 20-38 passengers. With our luxury buses, you can also choose to travel as a large cluster of multiple families together with children to have a fun-filled trip to your preferred destination. At Charter Everything, we have successfully handled the travel arrangements for all types of different events. Over the past years, we offered charter bus services in Georgia to thousands of clients. Here are some of the occasions where people often avail our services. 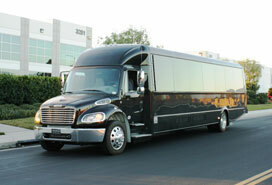 Corporate Events: Our fleet of luxurious charter buses is perfect for the executive-class travel experience. All our charter buses are equipped with charging ports so that your staff can charge their laptops and mobile phones while traveling. This kind of facility allows you to make last minute changes to your presentation for an upcoming meeting. Our buses allow you to arrive at the meeting completely refreshed and eager so that you can impress your audience with a flawless presentation. 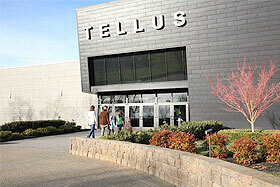 We also host corporate tours for executives who are getting together after a long and tiresome quarter. Kick back and relax for the weekend while our luxury charter bus or executive minibuses takes you to all the exotic VIP locations in Georgia. 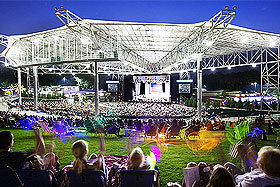 Sports Events: Sports fests often brings millions of people together. Now, you can travel to the Superbowl with your friends to enjoy a fun filled evening. You don’t have to worry about finding a parking spot in a crowded stadium anymore. Travel to the stadium comfortably so that you can arrive there all pumped up and ready to cheer on your favorite team to the heart’s content. School/College Trips: We offer a charter bus service for school and college road trips too. We understand that keeping your students safe is your number one priority. Therefore, all charter buses and vehicles we offer is equipped with state-of-the-art safety mechanisms. Moreover, our team of professional drivers always takes the safest route to the destination so that you can enjoy a safe ride. Camping Trips: Enjoy a fun-filled camping trip and carry everything that you require. Our buses have an ample amount of storage space that allows you to carry all that you require to spend a night underneath the starry sky. You can carry full-fledged tents, campfire tools, barbecue equipment, etc. to enjoy a fun night in the woods. Georgia is quite famous for its walking trails and camping spots. We also have a complete set of safety tools like fire extinguishers and medical safety kits, flashlights and more that can help you enjoy your stay at your favorite campsite. Prom and College Fest: Prom is undoubtedly one of the most memorable nights in the life of a high-school graduate. Now ride to your school in style with your friends and date by booking a exotic party bus, limousine or luxury charter bus rentals with Charter Everything. We have an entire fleet of buses, limos and sprinter vans that can cater to the needs of a small as well as large group. So, don’t worry about arranging any travel services anymore. Book your vehicle right away and travel with a large group of friends on your special day in style and class. Give them something to gossip about. Georgia Sightseeing: Georgia has some of the most exciting sightseeing locations in the world. From its sandy beaches to the high mountains, Georgia has a lot to offer. Plan your trip with Charter Everything to explore Georgia like never before. We can help you explore all the important destinations on your bucket list in a constrained time. Our team can also customize the travel plan according to your itinerary so that you can spend time at the places that you love the most. Here is the list of places that are worth visiting during a trip to Georgia. 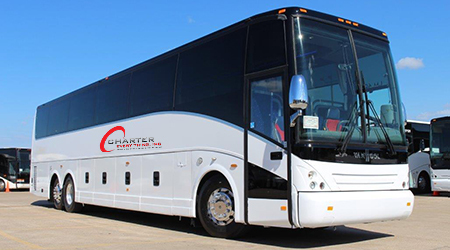 Want to book a charter bus at the last minute but cannot find a ride? Don’t worry anymore! At Charter Everything, we can cater to the last-minute demands for a luxurious and memorable ride across Georgia. Now, leave all your transportation problems for our team to figure out. Travel lavishly in a comfortable charter bus with us today!